For nearly 15,000 years, Chile has been home to a wide variety of indigenous cultures, each with its own unique way of life. Some of these have disappeared forever, while others remain today as the direct descendants of those ancient indigenous peoples. 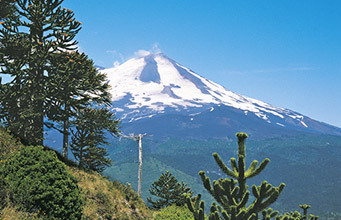 All of them, however, are an integral part of Chile’s cultural heritage. In this section of our website you will find a description of these cultures, according to currently available scientific information. For information on cultures from the rest of the Americas, click here. The evolution of societies is classified according to Ways of Life, which describe the primary way in which groups organized themselves to survive, including the technologies they used and the resources they extracted. 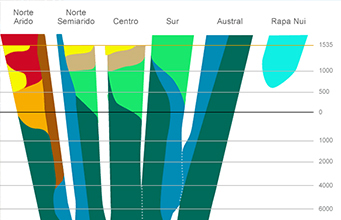 This diagram displays the evolution of different Ways of Life among Chile’s indigenous peoples in the country’s main geographic zones.